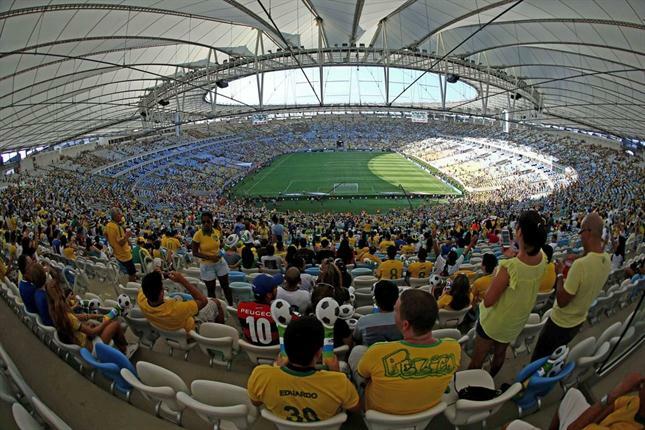 While the consumer electronics industry heavily promoted 4K Ultra HD TVs last month at CES, the broadcast division of the International Olympic Committee has “no plans for 4K TV broadcasting” during the 2016 Rio Olympics, the next major globally televised event. Colorfront, the Academy and Emmy Award-winning developer of high-performance, dailies and transcoding systems for motion pictures, high-end episodic TV and commercials, today broke performance barriers with the announcement of Colorfront Transkoder 2014, the automated, standalone system for high-quality digital file conversion, now featuring ground-breaking real-time 8K and 3D4K capabilities. This industry-first development underlines Colorfront’s reputation as a leading technology innovator, as it previews performance-boosting innovations for Ultra High Definition Television (UHDTV) post production at IBC 2014, Amsterdam, 12-15 Sept. Colorfront will also show the shipping 2014 versions of its On-Set Dailies and Express Dailies systems at IBC. Colorfront Transkoder is already employed by leading studios, VFX and post facilities involved in digital cinema and high-end TV production. Colorfront Transkoder 2014 is available on Mac, PC and the cloud for many key tasks: editing RAW film data, converting material to various output formats, plus conforming, color grading and rendering 2K / 4K / 3D4K / 8K / UHDTV materials in various high-end delivery and mezzanine formats. Colorfront has successfully collaborated with NHK Science & Technology Research Laboratories in Japan, using Colorfront Transkoder 2014 on 4K/60p broadcast programming, originated with Sony F55 and RED cameras, and also at 8K/60p on NHK’s Super Hi-Vision/ UHDTV project, with processing and real-time playback of 8K/60p footage from various RAW formats. Along with NHK, Colorfront has already sold multiple Colorfront Transkoder 2014 licenses to broadcasters and post facilities worldwide, including Deluxe, Technicolor, Fotokem, MGO and the BBC. Along with real-time UHDTV 60fps/4320p/8K and S3D/2160p/4K capabilities, key features of Colorfront Transkoder 2014 are: a brand new, easy-to-use interface; a multi-track timeline; EDL conform editing tools; support for subtitling; automatic watch folder processing; plus extended support for the latest digital cinematography camera formats, including ARRI Alexa 3.2K ProRes and Amira 4K ProRes, AJA Cion, plus Panasonic’s 4K Varicam V-RAW. Deliverables have also been extended to include AS-11 DPP, Apple licensed ProRes XQ, HEVC (High Efficiency Video Coding) H.265 and 10-bit H.264 video compression formats. Supporting the workflow is Colorfront Engine, a state-of-the-art, automatically managed, wide-gamut, high dynamic range, color pipeline, bringing true plug-and-play simplicity to today’s complex multi-source, multi-deliverable production needs. Transkoder is the ultimate tool for DCP and IMF mastering. It also includes the industry’s highest performance JPEG2000 encoding/decoding, 32-bit floating point processing on multiple GPUs, mxf wrapping, accelerated checksums, AES encryption and decryption, IMF/IMP and DCI/DCP package authoring, editing, transwrapping and verification, full subtitle authoring and support for multi-language packages. Colorfront Transkoder 2014 is shipping on Windows now and on Mac OS X in Q4. 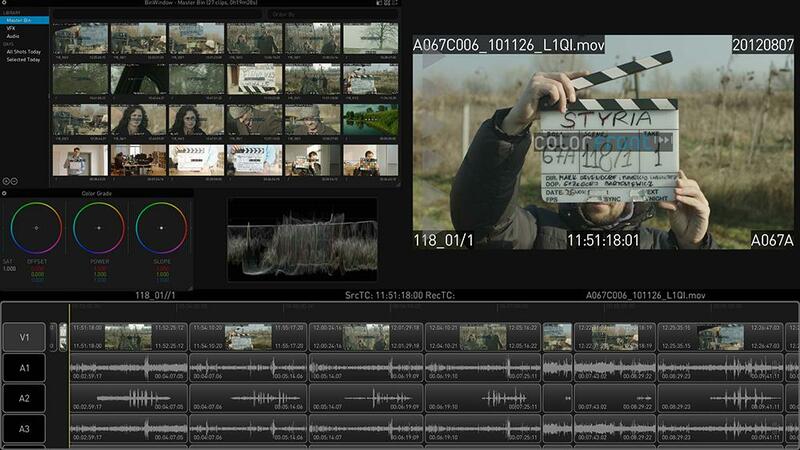 Colorfront is showing Transkoder 2014 in private demos at IBC 2014. Colorfront is also shipping the 2014 versions of On-Set Dailies and Express Dailies, the most widely-adopted on-set dailies systems, used by elite Hollywood production suppliers, blockbuster motion pictures and high-end episodic TV shows. Latest advances in 8K (Super Hi-Vision), including 120 frames a second, to be unveiled at IBC2014. 8k Super Hi-Vision is a dramatic leap forward in video and audio technologies, featuring 16 times the resolution of today’s HD, and 22.2 channel audio. 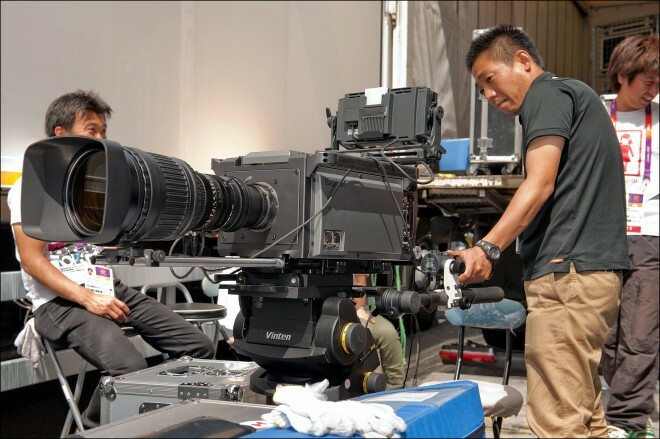 NHK has been leading its development, and first brought a theatre demonstration of the system to IBC in 2006. Since then IBC has seen many milestones in 8k, including the first international links – from London and Torino to Amsterdam – at IBC2008.In what is sure to be an incredibly popular demonstration at IBC2014, Japanese public broadcaster NHK is once more demonstrating its 8k Super Hi-Vision television system, including the latest enhancements such as high frame rate resolution. In 2008 NHK won an IBC Special Award for its work on 8k, and in 2012 NHK Science and Technology Research Laboratories were the recipients of IBC’s highest award, the International Honour for Excellence. This year the milestone is an end to end high frame rate system. Cameras, video processing and displays all provide 8k resolution – 7680 x 4320 pixels – at 120 progressive frames a second, resulting in an unprecedented sense of ‘being there’. Highlights from the FIFA World Cup will be shown on the NHK stand in the IBC Future Zone, located in the Park Foyer near Hall 8 of the IBC Exhibition. The presentation will also feature recordings made at the National Palace Museum in Taiwan, emphasising the use of 8k video in galleries and installations. 8K (Super Hi-Vision) is a very high resolution video system, designed for transmission to the home, to theatres and in specialist applications such as museums and art galleries. Its screen resolution is 16 times that of HD: 7680 pixels on 4320 lines. The latest version of the system, being shown at the IBC Future Zone, has a high frame rate of 120 progressive frames a second. The picture resolution is complemented with a 3D surround system, including 22 audio channels on three levels, plus two sub-woofer channels. The system is now close to practical implementation: NHK is proposing 8k test satellite broadcasting in 2016, with the launch of public services in Japan in 2020. The latest developments in communications technology allow the full resolution 144 Gb/s signal to be carried in real time over a single fibre cable. NHK is using the HEVC codec to process native 8k video and audio for satellite transmission in a single 100 Mb/s channel.